The Sydney Adventist Hospital Pathology Laboratory - San Pathology – was established in 1898 and provides pathology and blood banking services to the Sydney Adventist Hospital. Frequently referred to as The San, it is a 358 bed, privately run, not-for-profit hospital managed by Adventist HealthCare. The San provides private cardiac, orthopaedic, cancer, maternity, urology, emergency and intensive care specialty areas and supports 12 operating theatres. The San Pathology has one of the lowest red blood cell discard rates in Australia with a discard rate of only 0.7% for the last two years. Regular audits to improve practice. The key message is that all Blood Bank staff have a healthy respect for blood as a precious resource. San Pathology place only one order each week day morning based on their minimum safe levels. These levels were reached historically with Blood Service input and adjusted according to requirements. Generally only two units of pooled platelets are kept in stock at any one time unless dictated by clinical necessity. If additional stock is required, San Pathology will place an additional order and dispatch a taxi to the Blood Service Sydney Processing Centre. For the most part, this extra delivery consists of platelets but San Pathology prefers to bear the expense, at approximately $100 per trip, rather than stock a higher inventory of platelets which would otherwise likely be discarded. This practice reflects the San Pathology Blood Bank staff ethos that blood is a precious resource that is not to be wasted. Orders are placed in BloodNet by the staff member who is rostered on for the day. The rostered person has complete responsibility for managing all aspects of blood and blood product inventory. All staff know they have the back up of Sheldon, Bevan or the haematologist but they are also trained and trusted to complete the process responsibly. San Pathology has a policy to only keep red blood cell units cross-matched for 24 hours before returning them to general inventory. Cross-matched blood for theatre is placed in the operating theatre blood fridge at 9pm each evening ready for use the following day. When theatre staff remove any blood from this fridge they must complete a ‘Blood Dispatch Record’ documenting their name, date and time removed/returned to storage. Any unused units in the operating theatre fridge at 9pm the next evening are automatically returned to general inventory. 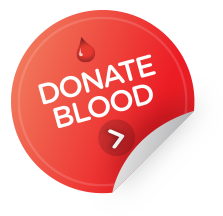 Cross matched blood for all other areas in the hospital are stored in the Blood Bank fridge which can only be released by laboratory staff and must be for immediate transfusion use. If cross-matched blood is not utilised after 24 hours the situation is reviewed in regards to the patient’s clinical scenario. For example, if the patient has a low haemoglobin or is in ICU, the cross match is continued, if not it is then the red blood cells are returned to general inventory. Cross match can be extended to 48 hours on special request by clinicians. If blood is being picked up from the laboratory by non-clinical staff that staff member must have undertaken internal training in the handling and transport of blood products. Blood is cross-matched manually with a two panel antibody screen. It takes staff about 15 minutes with a previous group and save or 1 hour with no group–and-save. The current cross-match to transfusion ratio is 1.5:1. Inventory is actively managed and stock levels are maintained at a minimum safe level which was determined by San Pathology in conjunction with the Blood Service. Blood and blood products are rotated and utilised according to age. Older blood is shelved at the front and younger stock at the back of the shelf. Units of red blood cells are often cross-matched multiple times before use the majority are transfused before expiry with very few required discarding. All discards are recorded in BloodNet FATE with the discard rate at 0.7% for the last two years. Any red blood cells that arrive with special phenotypes are stored separately and can be matched for oncology/haematology patients or those with unusual phenotypes; this reduces extra orders and deliveries from the Blood Service. Blood in this inventory is returned to general stock to be used before expiry. San Pathology has a number of standard operating procedures which are based on the Australian & New Zealand Society of Blood Transfusion (ANZSBT) guidelines. There are twenty laboratory staff that rotate through the blood bank and haematology. As part of their mandatory training, all staff members must complete the BloodSafe eLearning course “Clinical Transfusion Practice”. These certificates are proudly displayed in the Blood Bank area. Staff must also undertake the Royal College of Pathologists, Quality Assurance Program assessment, with many staff able to participate in more than the one-per-year minimum requirement. Additionally, the San insists on all staff involved in managing blood, including clinicians, doctors and nurses, completing the Clinical Transfusion Practice course every three years as part of training requirements. San Pathology continuously reviews their practice and transfusions for improvements. The laboratory conducts regular internal usage audits. Additionally an annual audit is carried out by the Hospital Quality and Safety Unit reviewing one month’s usage data for two major blood users within the Hospital. All red cell transfusions are reviewed to see if they meet appropriateness of use against standards as set out in the national Patient Blood Management (PBM) Guidelines. Any cases of transfusion deemed possibly inappropriate are reviewed by the haematologist, who makes a determination regarding clinical appropriateness. If the transfusion is deemed ‘not appropriate’ then it is discussed with the clinician. As a result, the San has > 99% of red cells transfused being deemed appropriate according to clinical symptoms and the national PBM Guidelines. Infusion practice generally follows a restrictive transfusion policy based on the national PBM Guidelines. The transfusion committee meets every 6 months and minutes are tabled to the Board. The committee consists of 14-15 members including blood bank staff, haematology, medical advisory committee, corporate services medical director, director of OT, director anaesthetics, director ICU, director of nursing, director of maternity, nurse education, risk manager and community member. Bevan and Sheldon identified a number of key points on how they have achieved and maintained their excellent discard rate. All Blood Bank staff have a healthy respect for blood as a precious resource, not to be wasted, “our people take blood and inventory management seriously and take care of it as if it was their own”. This attitude has been encouraged over many years to develop as the laboratory culture. The team have been led by example with good management. Laboratory staff are well trained, highly qualified and experienced. Staff are given individual responsibility to manage the blood and inventory. This responsibility ties in with the laboratory attitude and training. Staff know that the haematologist or haematology trained pathologist will provide back up for clinical situations and when the Massive Transfusion Protocol is activated. Transfusions and appropriate use of blood are monitored and reviewed and practice is addressed where required. Cross-matches are generally only maintained for 24 hours rather than the usual 72 hours. This increases the blood available in general inventory and reduces wastage due to expiry and over ordering. For a pdf version of the content on this page download the San Pathology Case Study Factsheet (pdf) (767.37 KB). Dr Leon Clark, Chief Executive Officer, Sydney Adventist Hospital.